This year, the conference is more broad based and deals with fertility management and a lot more beyond it, so that whether you are practicing infertility or Obstetrics and Gynecology, we have something for you. 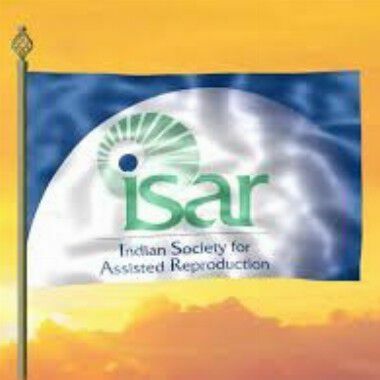 On Friday 1st March, 2019, there will be workshops which will be held by the prestigious national & international organizations like Maharashtra State Chapter of ISAR (MSR), FOGSI Infertility Committee, Mumbai Obstetrics and Gynecological Society (MOGS), American Society of Reproductive Medicine (ASRM), International Federation of Fertility Societies (IFFS), Asia Pacific Initiative on Reproduction (ASPIRE) and The International Society for Mild Approaches in Assisted Reproduction (ISMAAR). Other organizations such as World Endometriosis Society (WES), Indian Association of Gynecological Endoscopists (IAGE) will be participating in this conference. For the first time, Indian Fertility Society (IFS), Academy of Clinical Embryologist (ACE) and Indian Society for the Study of Reproduction & Fertility (ISSRF) have been invited to present at this conference!! A total of 13 national and international organizations will be involved in this conference, truly a first in itself. Registration covers all 3 days of the conference including two workshops. Hot meals for lunch (3 days) are included in the registration amount. An opportunity to meet and interact with learned national (400 plus) and international (30 plus) faculty. Live digital transmission from IVF labs & Operation theatres. Hands on training workstations in Cryopreservation, ICSI & andrology are available throughout. Simulator training in hysteroscopy, oocyte retrieval & Embryo transfer is available throughout. Special ET simulator training workshop under the guidance of the American Society for Reproductive Medicine. The simulators and trainers are being flown in from USA. Live webinar talks from experts from all over the world. Introduction to upcoming new technologies and research. Updates on the latest concepts and developments presented in a framework of back to back session & panels. Few of the attractions are exciting prizes for free communication & E-posters, the public forum and role plays. Power packed Entertainment with Bollywood singers & stars. Go mobile, get our app!